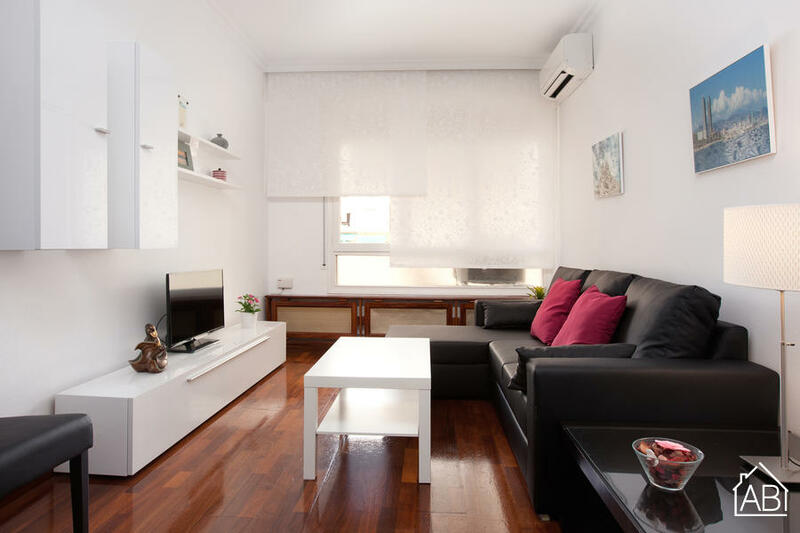 This spacious, elegant apartment is situated in the Eixample neighborhood, just a short walk from the famous Avinguda Diagonal street and only a few blocks from the metro, allowing you to move around the city quickly and easily. The apartment is less than 5 minutes from Passeig de Gràcia street on foot, where you can see two of Gaudí´s most renowned works: Casa Milà (La Pedrera) and Casa Batlló. You can also reach Plaça Catalunya and Las Ramblas in around 10 minutes when strolling down the nearby Rambla de Catalunya, which is packed full of bars and cafés. The area itself boasts some of the best shopping in the city as well as a wide variety of top restaurants. The apartment is very crisp, clean, and modern, and has 3 bedrooms and 2 bathrooms. This large apartment has the possibility to sleep up to 8 people comfortably in 6 single beds and a double size sofa bed. It has everything you need to make you feel at home: Internet, air-conditioning, coffee maker, dishwasher and washing machine. Metro: Diagonal (L3, L5), FGC Provença.